One of the main reasons to own gold right now is the rising risk of a potential meltdown in global equities that is likely to underperform over the next year in a global economic downturn led by an imploding China. China is projected to announce a gross domestic product expansion target for 2019 of between 6% and 6.5%, down from last year’s 6.6%. Analysts also expect a new fiscal stimulus package in the form of tax cuts and bond issuance, pushing up China’s deficit-to-GDP ratio. In addition to this the trade talks between USA & China also lingers as both the counties are yet to come up with an understanding on trade war. A US trade delegation headed by trade representative Robert Lighthizer and treasury secretary Steven Mnuchin is expected to visit China on 28-29th March for the next round of negotiations. With talks failing and the UK Parliament not being able to come to a consensus on a BREXIT deal, they will be not be able to meet its first deadline of 29th March 2019. European leaders have allowed a short BREXIT reprieve to delay the Article 50 process, postponing it till 12th April. Britain could leave the European Union without a BREXIT deal on 12th April if lawmakers fail next week to back Prime Minister Theresa May’s agreement with Brussels, EU leaders said after a crisis summit in Brussels on 21st March. Prime Minister Theresa May welcomed the European Union’s decision to delay BREXIT, saying that lawmakers in the British parliament now had clear choices about what to do next. 20 year Yields in the U.S. are rising. This suggests inflation could rise stronger than rates in order to have an inflationary environment. The U.S government data are also indicating that real rates and inflation will likely be rising in 2019. The FOMC’s latest decision to withdraw any expectation of a rate hike in 2019 proved to be more dovish than market participants were pricing in. 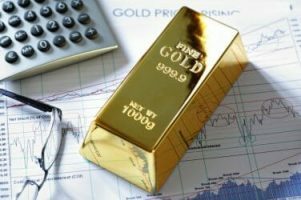 Gold prices may see further gains as US Treasury yields continue to fall in the near-term. The US Treasury 2-year yield is seen as a proxy for inflation while the 10-year yield is seen as a proxy for growth. That both of these maturities saw their yields fall to fresh monthly lows (and in the case of the latter, to fresh yearly lows) indicate towards higher inflation & a softer USD. Lastly tensions between USA & North Korea though have eased out but have completely not been resolved. Thus there is every possibility of tensions escalating again. North Korea remains an unpredictable nation & to what extent denuclearization takes place needs to be monitored closely. Indians have long regarded gold as the surest store of wealth. Brides bring it as dowry. Newborns are given bangles and anklets. Astrologers prescribe gold rings for stress. Indian households own 23,000 tn, three times more than the bullion held by America’s Federal Reserve. Thus demand for gold in India is expected to remain strong. Gold’s price is consolidating near the $1300/oz level, and managed to close well above its 200 day EMA in bull territory. So technically gold prices are expected to remain firm in the short run. Gold is perceived to be a safe haven against uncertainty. Thus a slowdown in China, lingering trade talks between USA & China, uncertainty over what will happen with BREXIT & a softening of USD couple with higher inflation could firm up gold prices globally. It may be difficult to predict if some of these global events will be solved in the near future or will continue for some time & thus it would be prudent to hedge/diversify a small part of your portfolio in gold at current levels.